Cynthia Peakey (R) of Changamwe Ladies fight for the ball with Jemin Kahindi of Solwogidi during the Safaricom Chapa Dimba coast region finals held at Bomu Stadium in Changamwe qualified for the finals after beating Solwogidi 1-0. 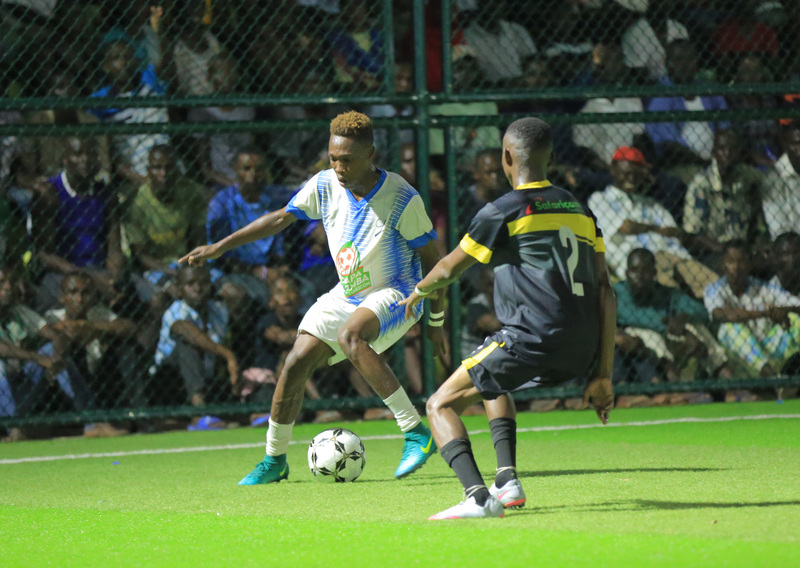 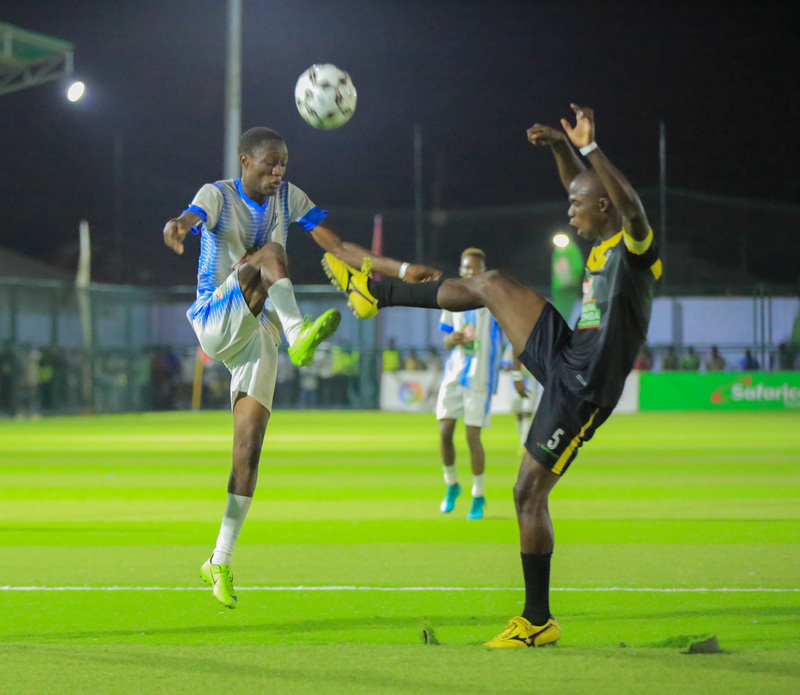 Juma Safri (R) fight for the ball with Raphael Musa of Maweni United during the Safaricom Chapa Dimba coast region finals held at Bomu Stadium in Changamwe. 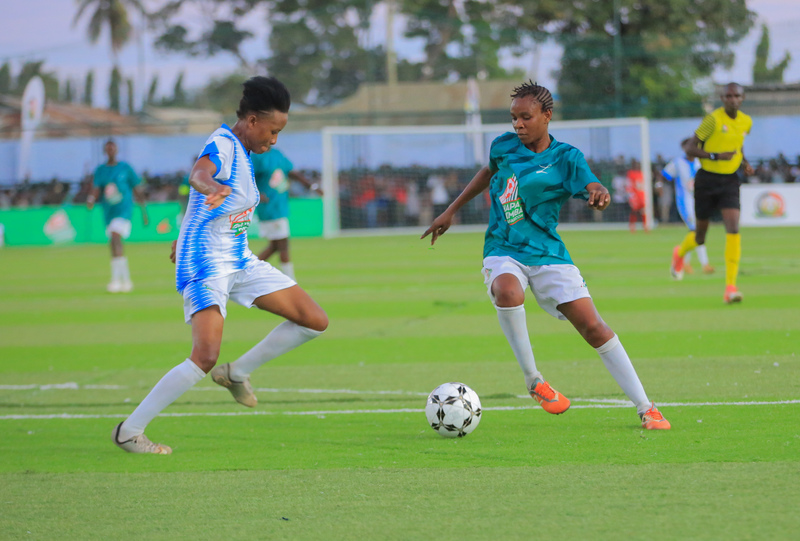 Luwali Karembo (R) of Solwogidi blocks Nancy Akinyi of Changamwe Ladies during the Safaricom Chapa Dimba coast region finals held at Bomu Stadium in Changamwe. 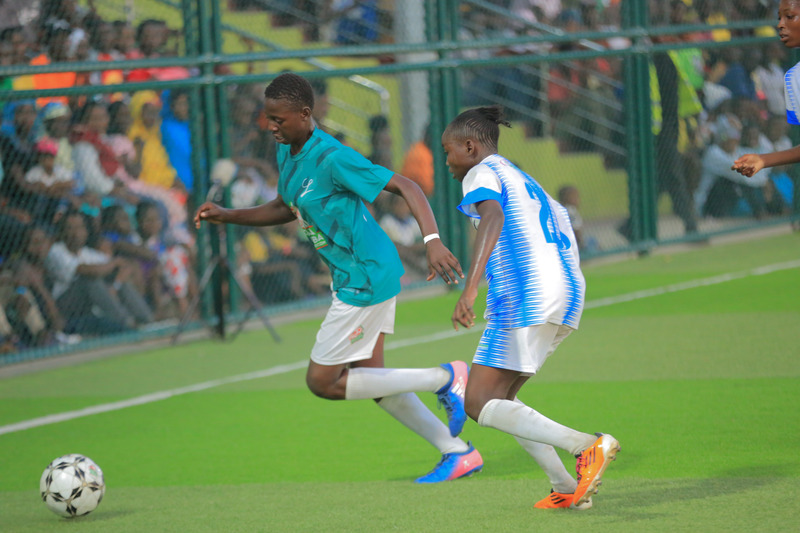 Changamwe Ladies qualified for the national finals by 1-0.